Design your own exquisite wedding card in your style to live your dream of having your own dream wedding card. Wedding cards maker software creates marriage invitation cards of any size or shape as per your choice. Design wedding card application facilitates to create stylish wedding invitation card to invite all your friends and relatives with handmade wedding cards. Marriage invitation card maker software facilitates to create wedding cards using various image designing objects like line, pencil, color, text, rectangle, ellipse, circle etc. 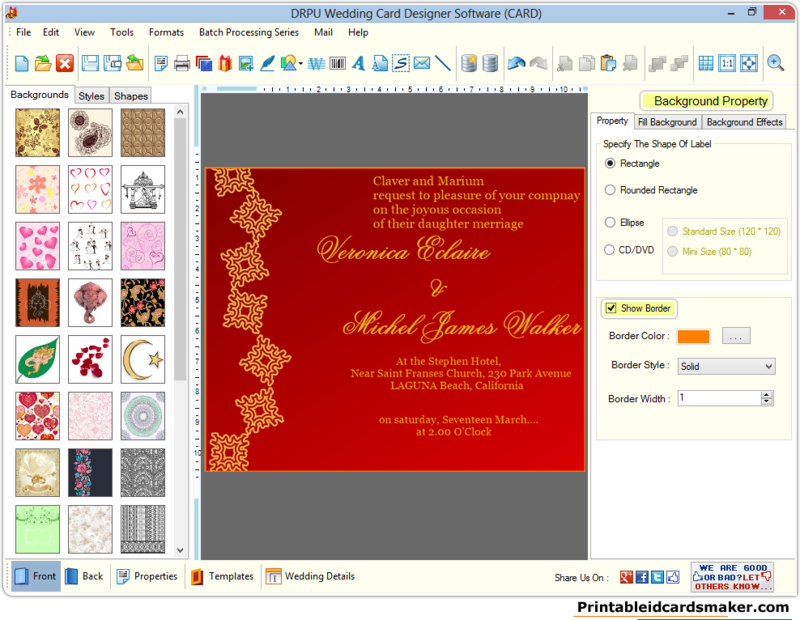 Wedding card creator tool designs bulk of wedding invitation cards using data set series feature. Wedding card designing software facilitates to insert image from library to give your card a personalize touch. Design wedding card software offers advance color and background setting feature to create colorful marriage invitation card. ★ Create your own wedding card: Wedding cards creator software facilitates you to make your own style marriage invitation card. 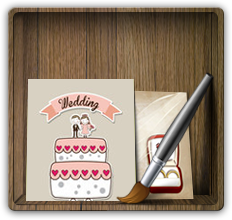 ★ Image designing objects: Create Wedding cards using various image designing objects like line, pencil, color, rectangle, WordArt and various others. ★ Add Picture: Wedding cards maker software facilitates to insert personalize image of your choice while designing marriage invitation card. ★ Print Settings: Wedding invitation card creator tool provides facility to print stylish marriage invitation cards as per your needs. ★ Email settings: Wedding cards maker software facilitates to e-mail created wedding card among all friends and relatives.